On Another One… | Eat. Go. Learn. Live. 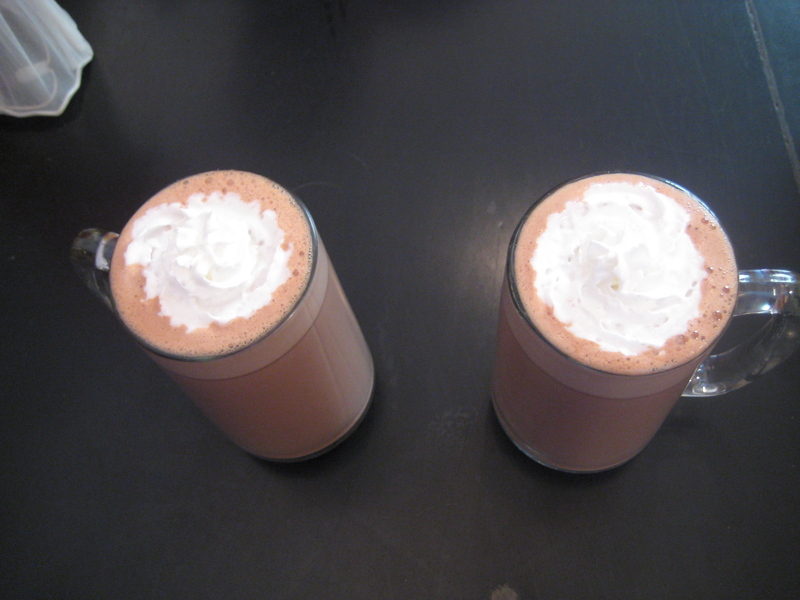 Kells and I were in the winter mood for some hot chocolate. 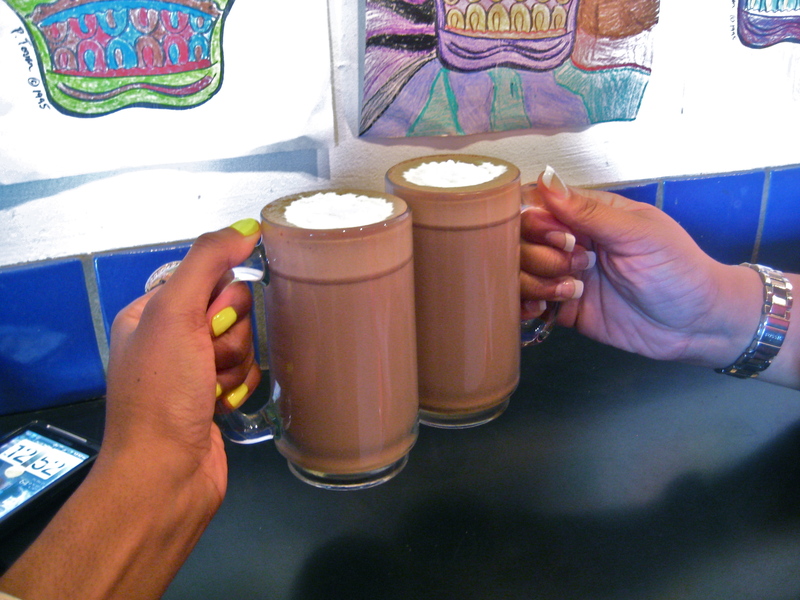 We wanted to try something new, but still familiar so what else, but mexican hot chocolate? After a little yelpsearching (new word), we found this place in Pasadena. 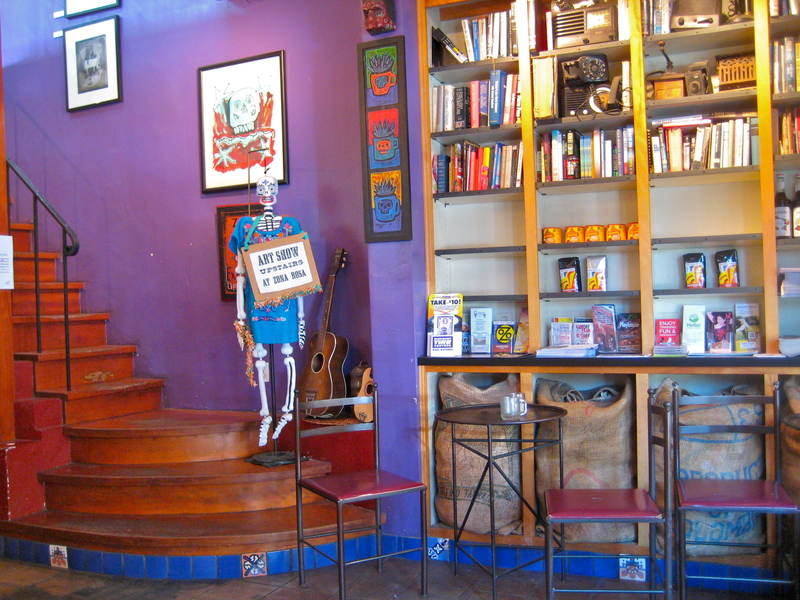 It’s a cafe with Mexican culture throughout. Vibrant colors, iron furniture, latin music (sometimes live), and even an art gallery on the second floor! My favorite part of the decor here was the purple wall leading you upstairs. 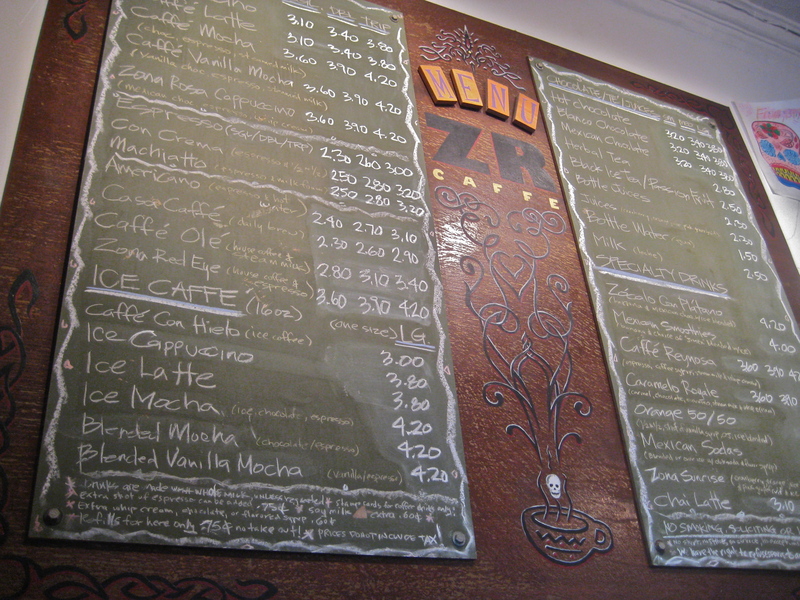 They serve imported coffees and teas as well as some yummy-looking pastries! If you’re in the area, I’d suggest you stop by for a sip of Mexican culture.